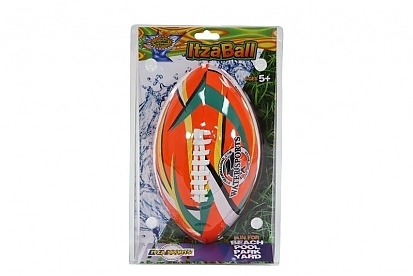 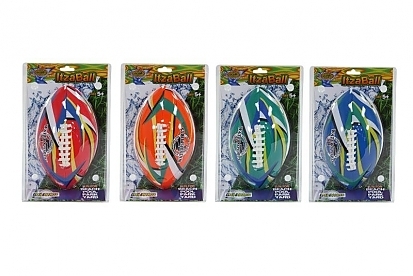 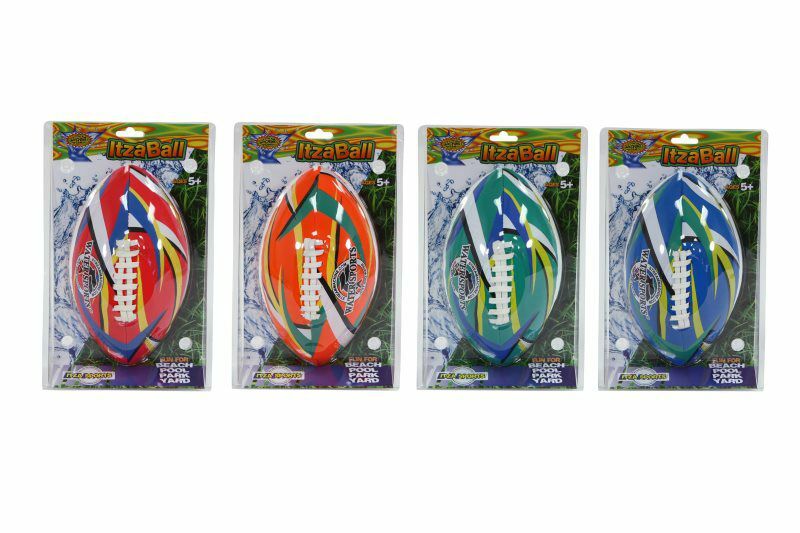 Itzafootball football is especially designed for rugged use on the football field, in the backyard or beach! This exceptional football is designed with a butyl bladder for maximum air retention and optimal playability. Its TPE shell absorbs minimal amounts of water, making it perfect for poolside and beachside plays. 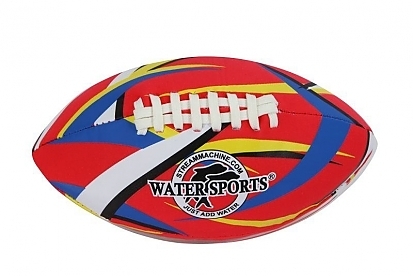 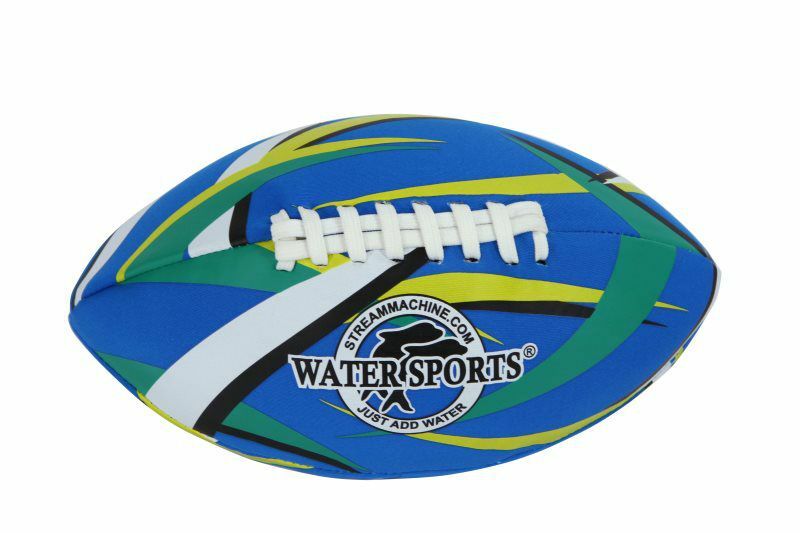 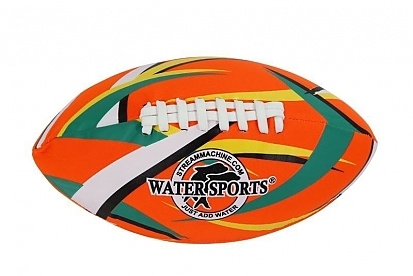 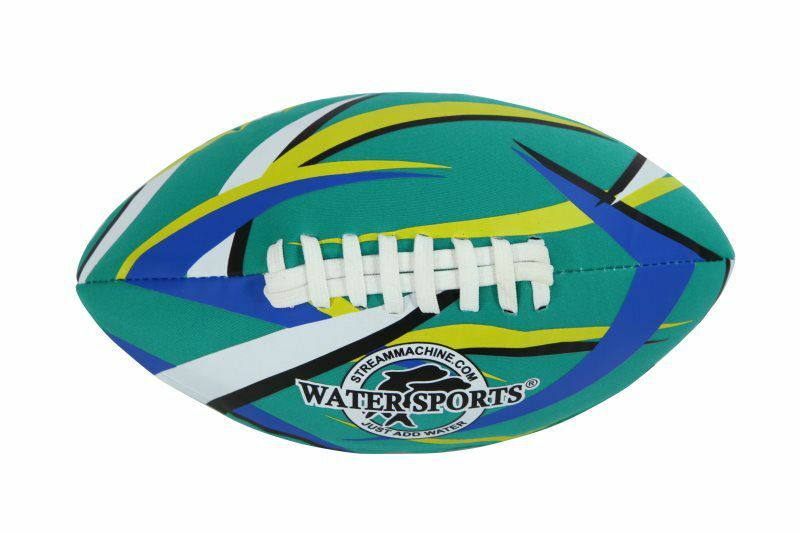 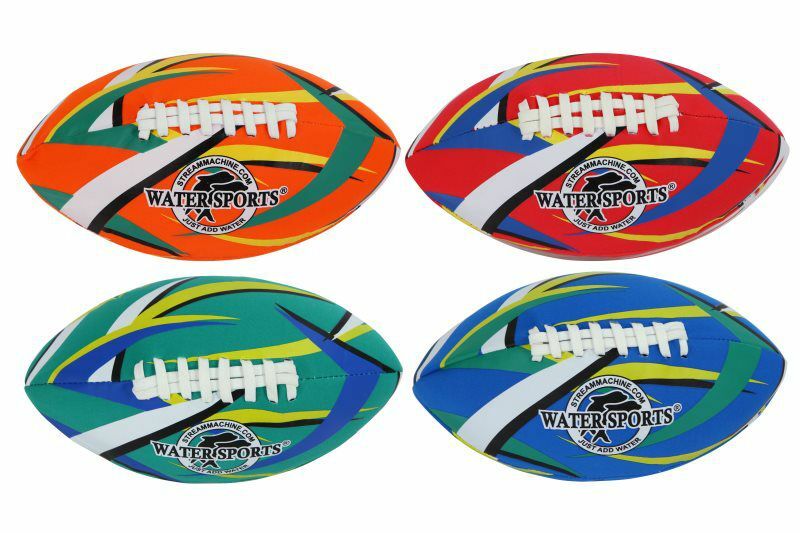 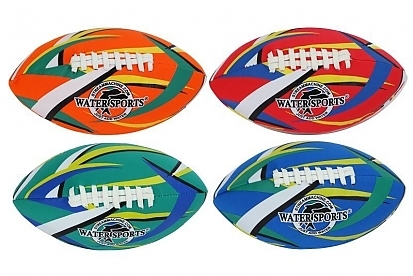 Available in four standard colors with a Water Sports logo, this football is visible against grass, sand and gravel. 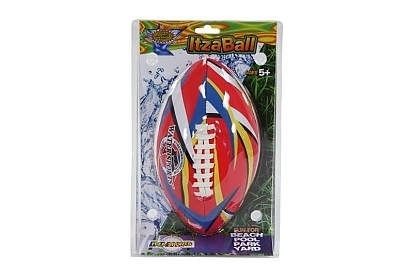 The material provides maximum grip, making long passes and dare devil catches possible! For hours of rough and tumble play, this football is durable and holds up to unimaginable punishment.